An association is only as strong as the volunteers who help lead it. We encourage to consider taking a leadership role in NCHRA so that we can continue to serve the HR professionals in our community. Please see the summary for each position below or click on the title for the full role description. To apply for a Board position, please fill out the application form. Manage the chapter’s certification study program. Encourage members to become certified and recertified. Increase the number of chapter members who are certified SHRM-CP or SHRM-SCP and PHR/SPHR/GPHR by the HR Certification Institute. Manage the scholarship program, internship program, and college outreach efforts. Monitor and evaluate on a continuing basis pending legislative, regulatory and legal action at the federal, state, and local level that may have an impact on the management of human resources. Inform elected officials of SHRM's position on legislation affecting the human resources profession. Oversee and administor all digital marketing communications for chapter. Responsible for website maintenance, email distribution, online marketing and social media communications. Oversee and manage the marketing and public relations activities of the chapter. Responsible for chapter communications including newsletters and program announcements. Provide leadership to the local chapter consistent with state, regional, and SHRM policy, strategies and objectives. Effectively operate the chapter so that the needs of the members are met. Perform other duties as required by the local chapter's bylaws. Serve as a voting member of the state council. Assist the president in overseeing all the activities of the chapter. In the absence of the president, perform all the presidential responsibilities. Manage the activities of the program committee to provide monthly and satellite programs for the chapter membership. Take minutes of chapter meetings, provide notice of meetings and general correspondence. Maintain chapter records and history. 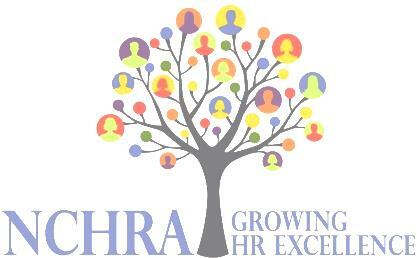 Educate, promote, and represent the interests of the SHRM Foundation and its activities to the chapter membership. Act as financial officer and advisor to chapter board of directors. Maintains the chapter mailbox and distributes mail to the appropriate officer, director, or chair. Send dues notices and other invoices to members. File appropriate forms and information with IRS. Monitors and evaluates on a continuing basis local activities concerning workforce readiness and diversity issues and plans and encourages chapter involvement and activities impacting the workforce readiness arena.Serve as an appointed member of the chapter board of directors. Monitor and evaluate on a continuing basis local activities concerning diversity issues. Spearhead the effort to diversify the chapter's membership/leadership and to publicize successful diversity programs in the local community.